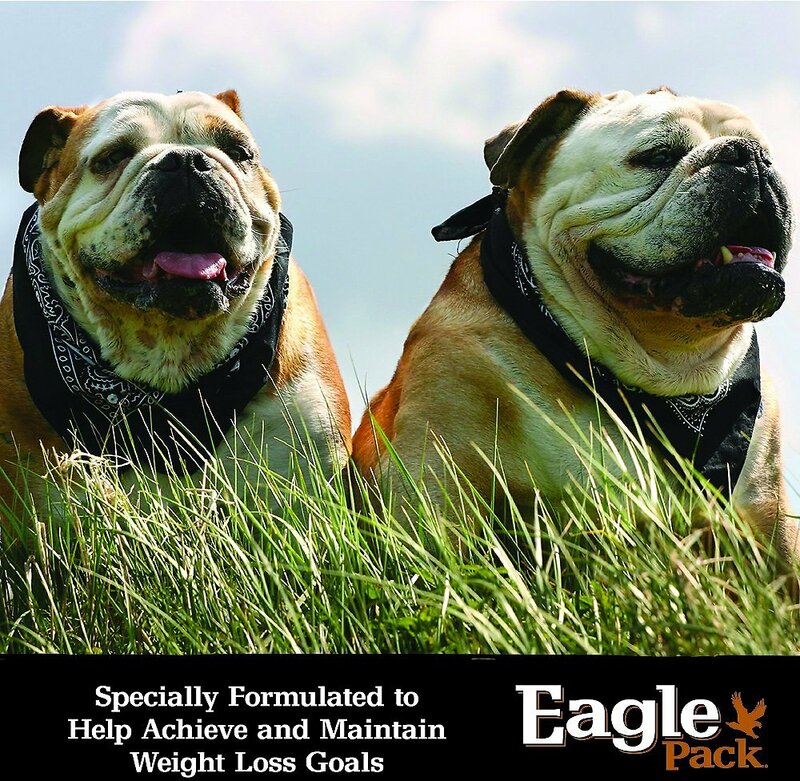 Eagle Pack Reduced Fat Formula provides the right balance of proteins, fats and carbohydrates, combined with health-promoting antioxidant support, omega fatty acids and glucosamine hydrochloride to support weight loss in less active or overweight dogs. Combination Feeding: If feeding with wet food, reduce dry amount fed by 1/3 cup for every 6.0 oz of wet food. Eagle Pack Reduced Fat Formula combines wholesome grains and fiber like brown rice and oatmeal with triple animal proteins to support healthy muscle tone and provide a great flavor. This recipe contains 11% fewer calories and 35% less fat to help to maintain a healthy weight. Additional nutritional support from glucosamine hydrochloride and flaxseed helps maintain joint health and skin and coat health. 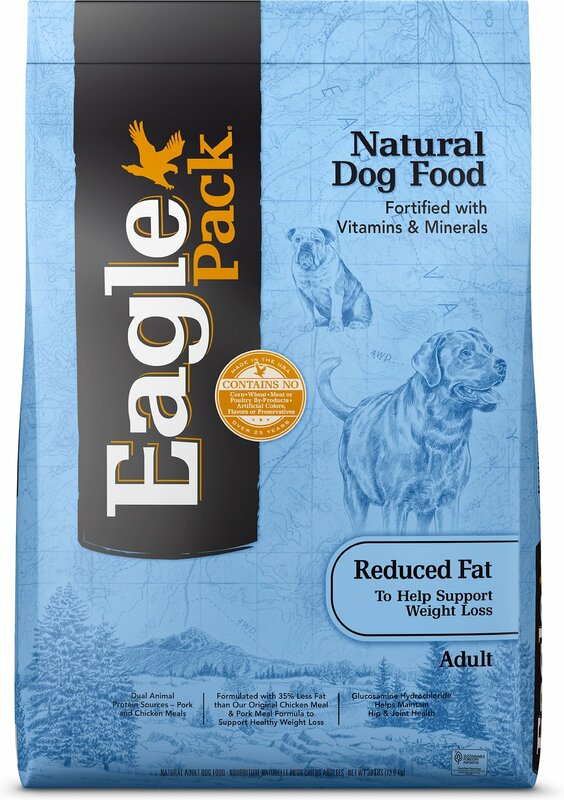 All of Eagle Pack's formulas include highly digestible quality protein as the first ingredient, followed by wholesome grains for natural nutrients and fiber for healthy digestion and firm stools. Additional nutritional support from supplements, vitamins and minerals promotes healthy skin and a shiny coat and supports your pup's immune system to keep him healthy and strong. Eagle Pack supports the champion spirit in every dog. Their performance-proven nutrition is specially formulated to support your dog's everyday health needs with the right balance of proteins, fats and carbohydrates plus health-promoting antioxidant support and Omega fatty acids. 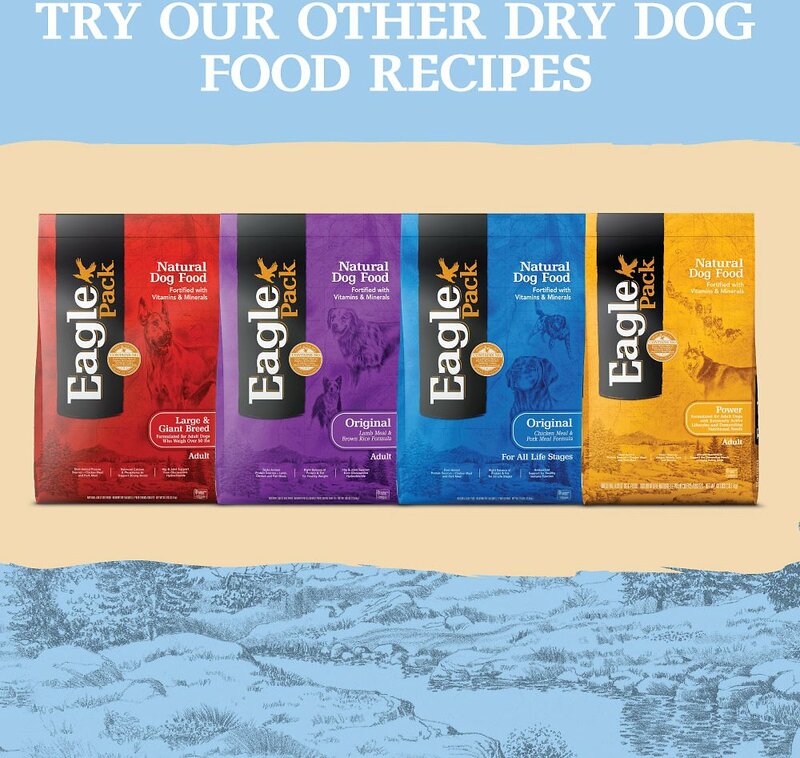 You can count on Eagle Pack's American-made foods to naturally fuel your dog's daily adventures, both big and small. All Eagle Pack recipes contain no corn, wheat, artificial colors, flavors or preservatives. Contain twice the protein of most vegetables and are a good source of vitamin A, vitamin C and some B-complex vitamins. Provides an excellent source of soluble dietary fiber and contains a concentrated dose of lycopene, a premier antioxidant. 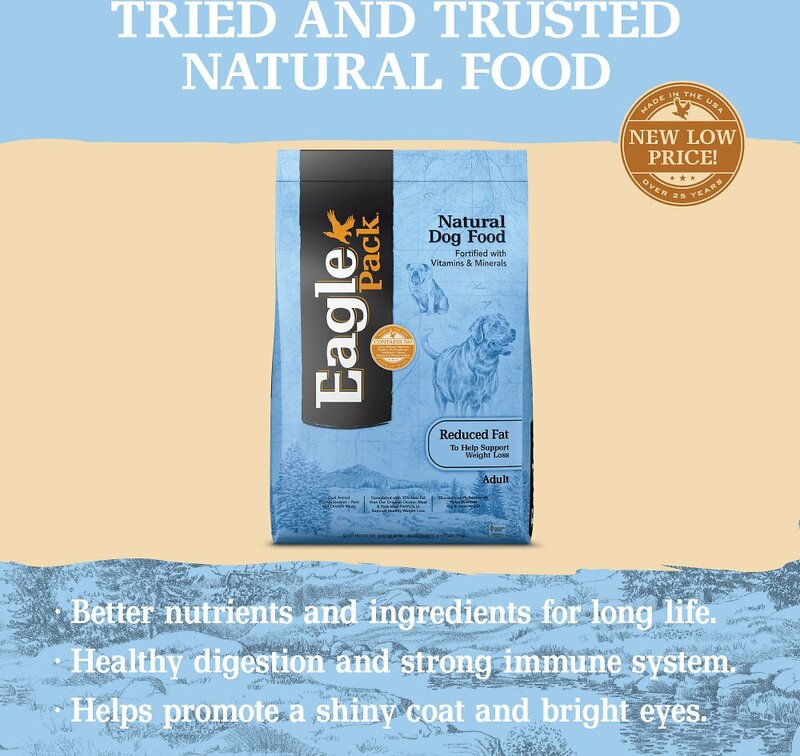 For over 25 years, Eagle Pack has energized pets by providing quality, natural nutrition without fillers or artificial preservatives. 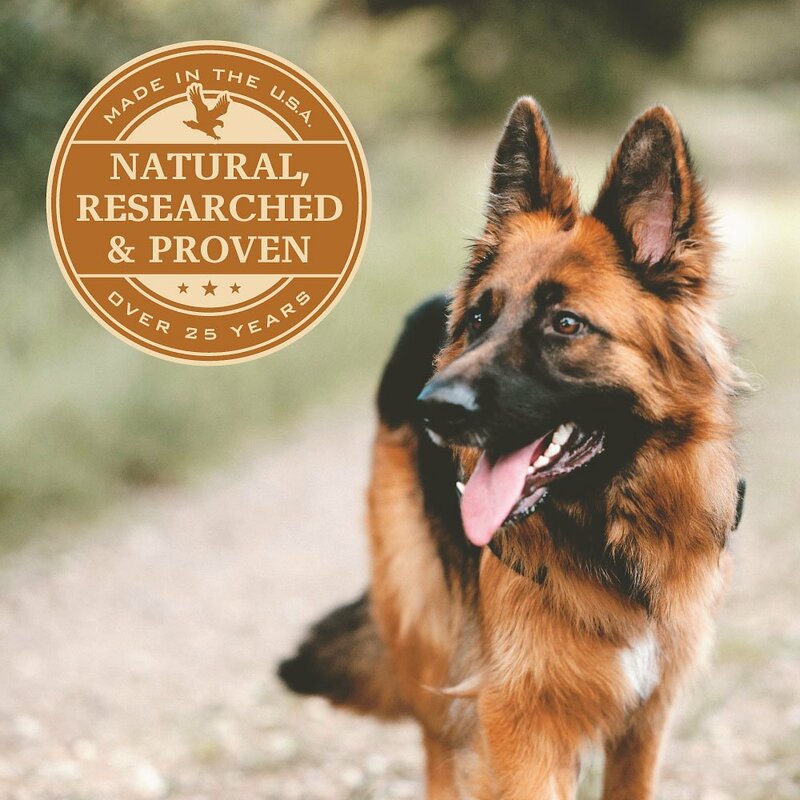 Their innovative recipes deliver the right balance of proteins, fats, carbohydrates, antioxidants and Omega fatty acids for results you can see, and have been continuously researched with trainers and vets to ensure they naturally fuel your pet to achieve his best. My dog has had pancreatitis twice now. The Vet recommended expensive low fat dog food that she would not eat. We tried several low fat brands and she wouldn’t hardly eat any of them. She loves this food and the price is very reasonable! We highly recommend it! Since I moved in with my owner's I weighted in at 30+ lbs. They bought me Eagle diet and it's been about a month and I have lost 4 lbs. so far. I would recommend this product to others for their over weight fur baby. High quality natural dry dog food reduced fat for older or obese dogs. The only reason I did not rate this 5 stars is due to pork ingredient in this blend. Luckily my dogs are not allergic to chicken or grains. Rottie lost 7 lbs in 8 weeks ! My dog loves this food and it is great for pancreatitis! My dog had pancreatitis in 11/2018 and my vet said to feed him a low fat food from here on out. We tried 2 other low fat foods, but he did not do well on them. After reading the reviews for this food, I decided to try it instead of putting him back on prescription food. He is doing great and he loves this food! My pancreatitis-prone corgi doesn't turn his nose up at this like he started to do with his expensive prescription low fat food. The Rx food was starting to break the bank, especially when he'd leave half of it in the bowl. I swapped to Eagle Pack and his sensitive system is tolerating it well, I've swapped my other dogs to it just for the sake of having everyone on the same kibble. So far so good! We have been feeding our dog a reduced fat diet for over 2 years. We decided to change her food to find something less expensive. Our dog will eat this food after we put something else on it, but reluctantly. She doesn't like it. We will not purchase it again! I was searching for a truly low fat food for ages before I found Eagle Pack. I needed something with less than 11% fat and while there are many brands that market as minimum 8-9%, there were not many with true low fat food. My dog loves this food and seems to be doing well on it so far. Very pleased.